After a splurge of tiny vegan restaurants lately, I felt this was going to be another with only a few tables. It’s frustrating to wait for these places with few seatings. It took me a while to get a reservation at Dirt Candy and now I am still waiting for Kajitsu. I felt relieved when I walked in to see that there was actually more room and tables then I had thought. Quantum Leap is actually not vegan but it is very vegan friendly. They seem to specialize in natural food and veggies burgers. The menu says: VEGETARIAN ~ FISH since 1974! They are located next to NYU in Greenwich Village and are a convenient place to get healthy food without waiting. I saw fish on the menu and then a whole list of burgers but the burgers turned out to be all veggie! This place was just what I was in the mood for! Basic vegan food- not pretentious and with lots of choices! 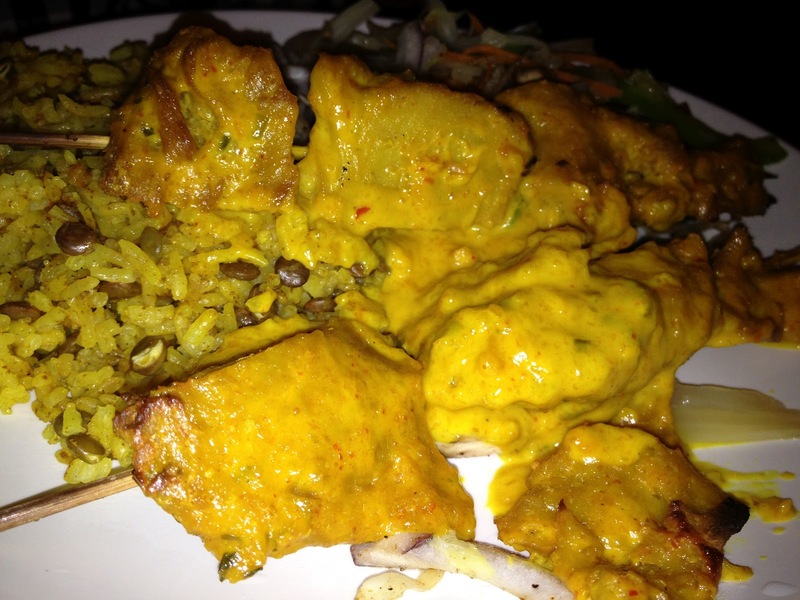 We ordered Vietnamese spring rolls, the Middle Eastern platter and the Seitan satay. 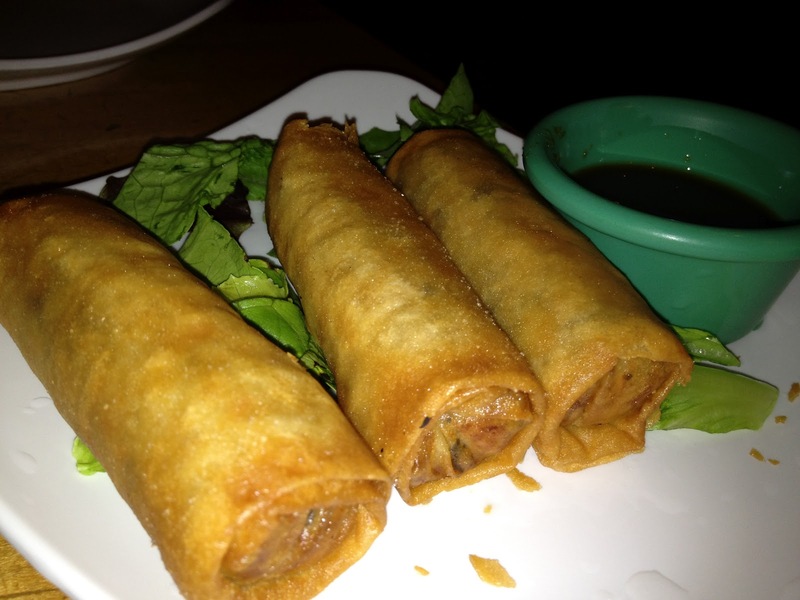 The spring rolls were fried! I hate when I order something fried by accident. I’m not saying I would never order anything friend- but it is a goal! I especially would NOT have ordered these if they were fried. For example I’ll save my “fried” card for something like a falafel here and there! 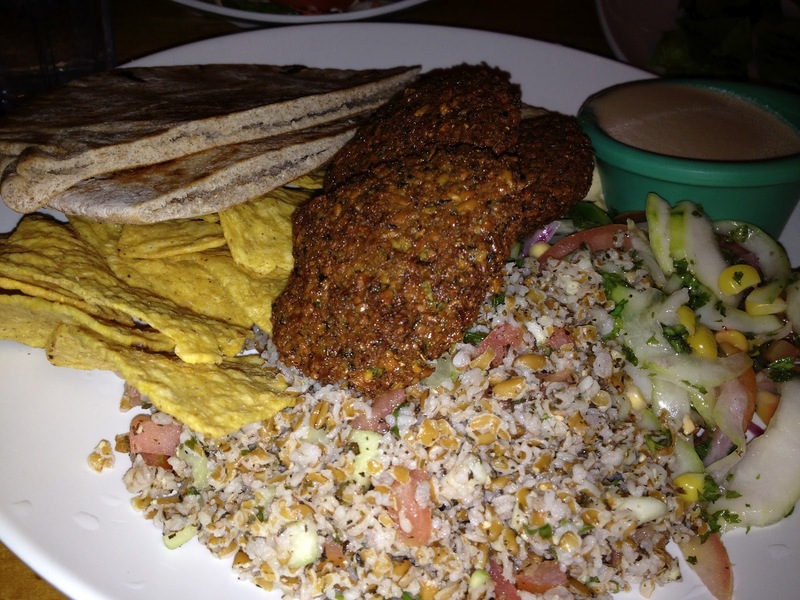 The falafel, hummus and tabouli were good. I make really amazing tabouli- not sure if I blogged that yet. The satay was really delicious- the peanut sauce was amazing. They had vegan desserts on the menu so I just had to try them! 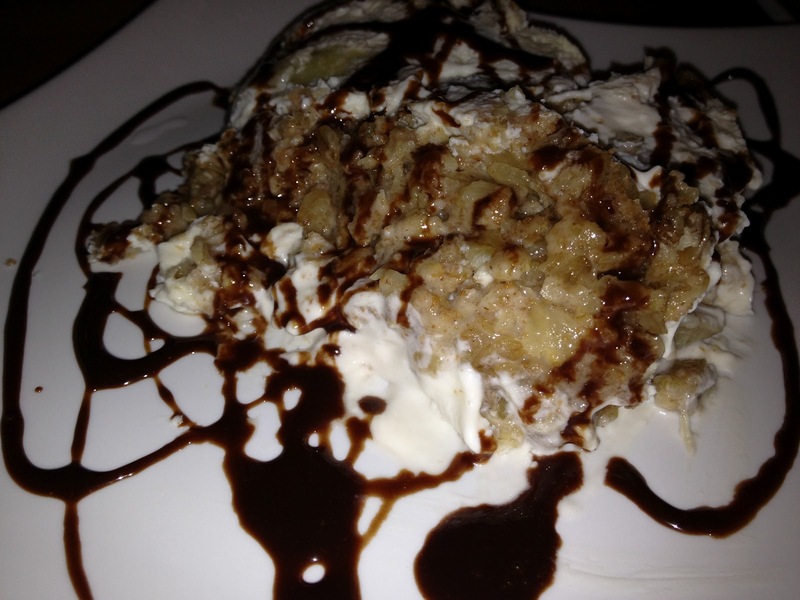 We couldn’t agree on one so it quickly became 2 desserts which honestly, were the best part of the meal! 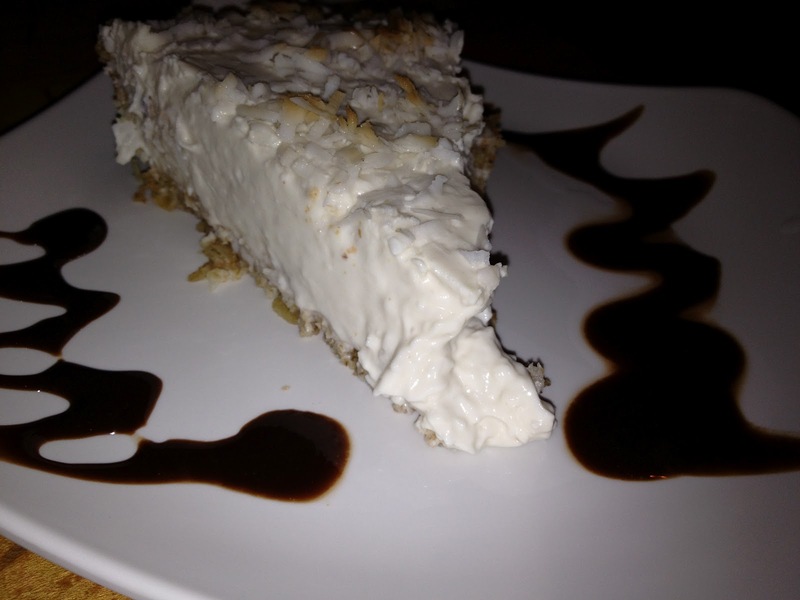 Hands down, best coconut tofu pie ever and the second dessert- I can’t recall the exact name but it had bananas in it- EXCELLENT! I can’t wait to go back for and try the macro platter or one of their many burgers! I’ll try to order better- no fried! The best part is they deliver to my work! I’m so excited!